The plan for this year is to buy a good number of plants early in the year to allow them to get established and hopefully give a reasonable display by the end of the summer. I am trying out mail order for the first time and in order to get a couple of plants that I really wanted I'm splitting the order across a couple of different nurseries. This order was with Penlan Perennials and is built around Ligularia przewalskii. In other words I found somewhere that had that plant and then found other plants that looked good. This was a second choice as the first one had sold out. I put in the order online on Monday night, and it arrived before midday on the Wednesday. They used APC to deliver, the deliver company sent an email with two hour time slot when it would arrive, and it turned up pretty much bang in the middle of the time slot. So this was excellent response time, not that it mattered this time as we are set for some cold weather so I will not be planting them for a week or two. The first 3 are in 2L pots and the rest are in 1.5L pots. 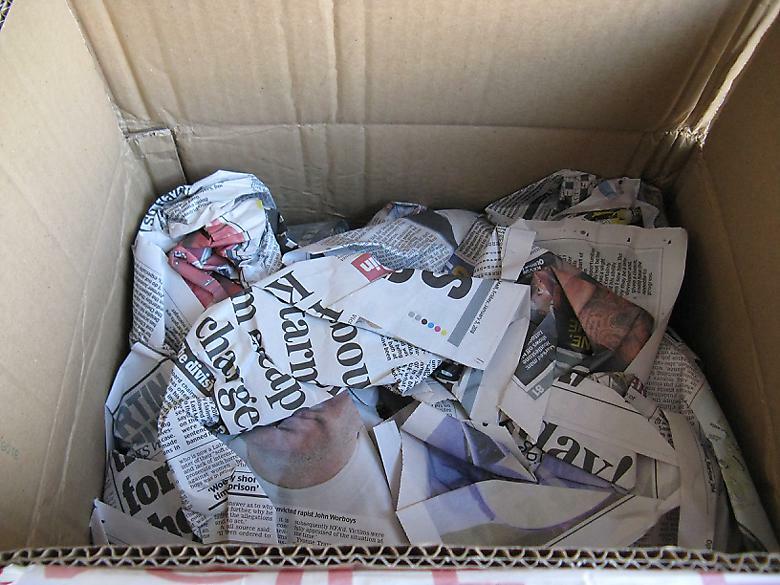 Arrived in a cardboard box with newspaper padding. 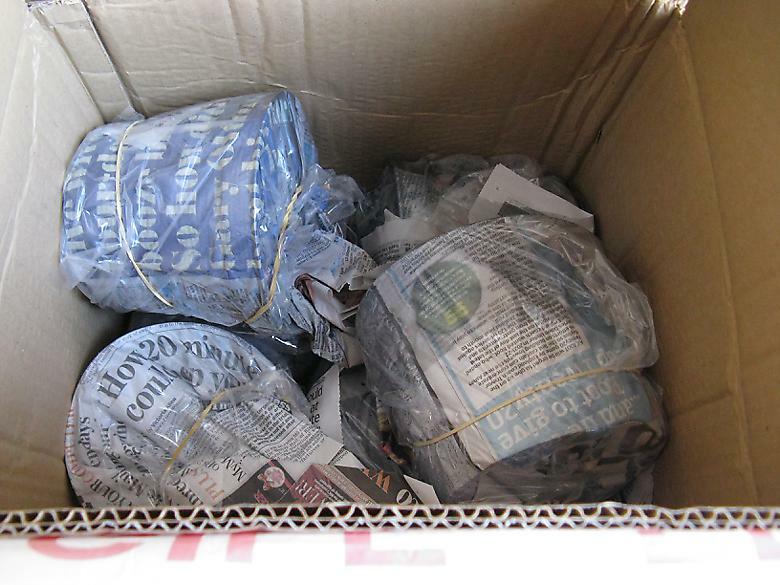 The pots were individually wrapped in newspaper and in a plastic bag held in place with elastic bands. Later in the year when the plants have leaves the packaging may be different - I don't know. Everything was wrapped well and no soil had escaped from the pots. The Geum is only one with any significant number of leaves. Most do not have any green showing at all at this point. 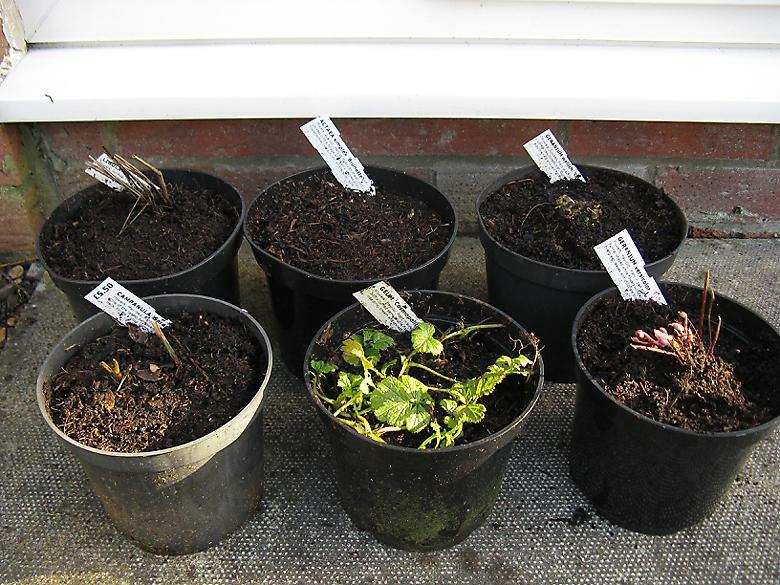 I shall probably leave them until there is some sign of growth before planting.